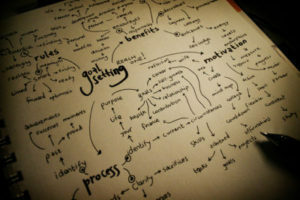 Goal Setting is one of the most fundamental undertakings when we consider future success. 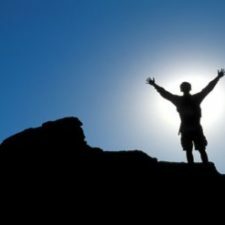 We know that top-level athletes, successful business leaders and achievers use this technique to stimulate short-term motivation and help in maintaining long term vision. The intent is to bring focus to your life’s undertakings. But many times, we all feel a bit overwhelmed with what life has to throw at us, so I thought that this blog could offer some warrior insight to setting goals; or as I like to refer to them as Objectives. I think it is important to draw a distinction between goals and Objectives, because they require two entirely different mindsets. By definition, a goal is a “dream with a deadline.” It is something you would like to have or achieve by a certain date. Granted the old saying of “if you aim at nothing, you’re guaranteed to hit it every time” definitely applies to goal setting. It is nice to have a direction when you are attempting a competitive event or working in your career. Additionally, linking a desire to a date creates a certain sense of urgency. This can even create a certain level of healthy stress which makes the goal seem more important. An Objective, in the warrior’s mind, is entirely different. Objective by it’s very name is a Principle of War. Born from the battles in Prussia in the mid 19th century, Carl von Clausewitz, a great military writer and theorist, summarized a list of tenets in his military treatise entitled “On War.” In this book, Clausewitz chronicled and examined warfare during the Napoleonic era. Even today, we quote Clausewitiz writings and theories as they pertain to today’s military challenges. In Field Manual 3.0, the U.S. Army uses the following definition of the first Principle of War (which reads just as Clausewitz penned it hundreds of years ago), which it teaches to all of its officers. “Direct every military operation toward a clearly definable, attainable, and decisive objective.” These words are specifically chosen to describe the Objective, as they all must be present to accurately set the conditions for success. As a former tactics instructor, I would ask my students if their objectives passed the DAD test. The DAD test basically asks was the Objective Definable or could you tell me exactly what, where, and when you must accomplish this assignment? Was it Attainable, meaning did you really have a chance at accomplishing this, based on your training and resources? Finally, and most importantly, would the accomplishment of this Objective be Decisive, or simply put would it make a difference or create a resolution/impact to your undertaking? With this type of scrutiny placed on your future plans, how many items on your life’s “To Do” list are still standing? Without this type of examination, I would contend you are less likely to achieve the Objectives you set for yourself. There is a very specific reason that Objectives must stand to this type of analysis…it’s because you Absolutely Must achieve them. If you want to truly accomplish more in your life, you must unite your actions with your intentions. By applying the DAD test, you help to create what many scientist call the “endowment effect” the subject of my next blog! When setting Objectives for yourself, always start with an Absolute Must mindset. This level of commitment creates an instant bond to you personally and will elicit protective measures to ensure this future endeavor remains “a part of you.” The areas in life that I coach are: Love, Health, Wealth, and Self-Image. If you were to set your mind to achieving more in these 4 areas, can you think of the decisiveness you would bring to your world? Enter the sum of 15 + 16	below to prove you are a human.